Despite widespread acceptance of the giant impact hypothesis for lunar origin, our understanding continues to be challenged by remarkable new geochemical data, improved simulations and theory, and spacecraft exploration. This will be a timely consideration of our current understanding, how this relates to our Earth and planetary systems and an opportunity to identify the directions of future research. Recorded audio of the presentations are now available and the papers will be published in a future issue of Philosophical Transactions A.
David Stevenson is the Marvin L. Goldberger Professor of Planetary Science at the California Institute of Technology and is an Andrew D. White Professor-at-Large at Cornell University. 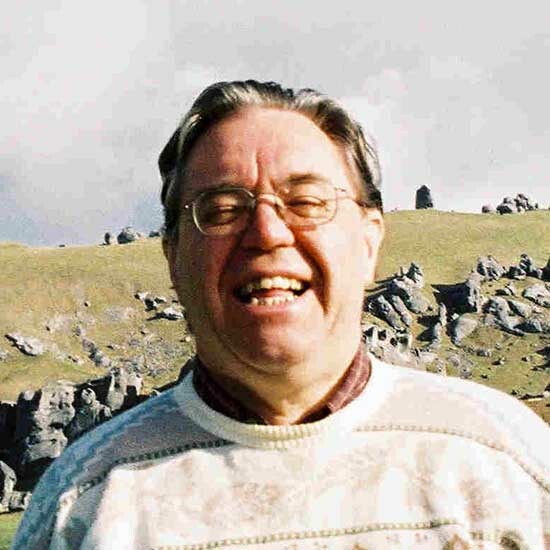 A native of New Zealand, his early work was in the condensed matter physics of planetary interiors, especially giant planets, but his wide ranging career has included contributions to the interpretation of planetary magnetic fields, the formation of planetary cores, melt migration, the origin of the Moon and numerous aspects of planetary and satellite formation, evolution and structure. He was involved in the Cassini mission and is a Co-Investigator and group leader in the Juno mission, currently in orbit at Jupiter. Awards include Fellowship in the Royal Society (London), membership of the National Academy of Sciences (USA), the Urey Prize (American Astronomical Society) and Hess Medal (American Geophysical Union). 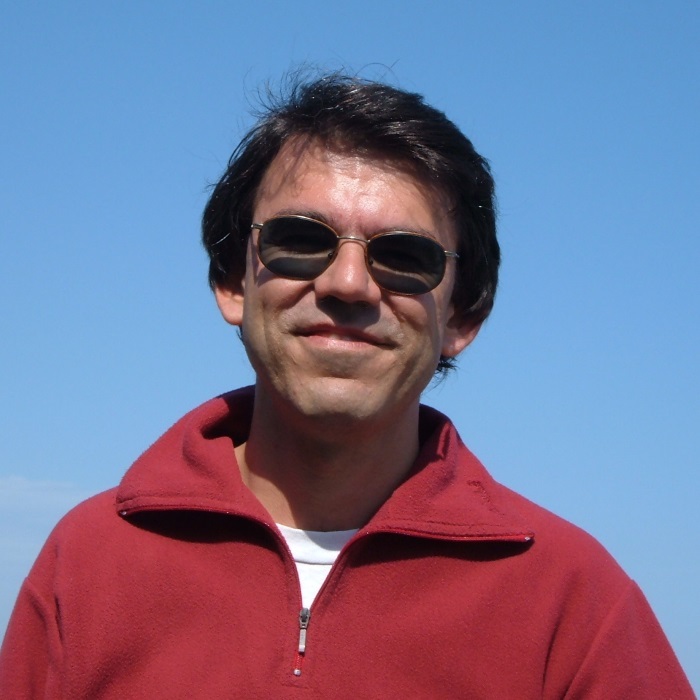 Alessandro Morbidelli obtained his Ph.D. in Mathematics in 1991 from the University of Namur (Belgium). Since 1993 he has worked as a planetary scientist at the Observatoire de la Cote d'Azur in Nice, France. His work concerns mostly the formation and the dynamical evolution of the Solar System (planets and small bodies) and of planetary systems in general. He is the Director of the national Program for Planetary Science and Associated member of the Royal Academy of Science of Belgium. "Robin Canup is Associate Vice President of the Planetary Sciences Directorate of the Southwest Research Institute in Boulder, Colorado. Before joining SwRI in 1998, she received her bachelors in physics from Duke University in 1990, and a masters and PhD in astrophysics and planetary sciences at the University of Colorado in 1995. Her research has focused on the dynamics of planet and satellite origin, including the formation of the Moon, hydrodynamic simulations of giant impacts, and the origin of the regular satellites of the outer planets. Canup was the recipient of the Urey Prize of the American Astronomical Society and the Macelwane Medal of the American Geophysical Union. She is a fellow of the AGU and a member of the National Academy of Sciences." Professor Sarah Stewart is a planetary scientist who specializes in the study of collisions in the solar system. Her research encompasses experimental and numerical investigations of the formation and destruction of planets, planetary geology, and the physical properties of planetary materials. Sarah directs the Shock Compression Laboratory at Harvard which focuses on studying shock processes in planetary materials. Sarah received her A.B. in Astrophysics and Physics from Harvard and her Ph.D. in Planetary Science from the California Institute of Technology. Sarah’s honors include the Urey Prize from the American Astronomical Society's Division for Planetary Sciences and a U.S. Presidential Early Career Award for Scientists and Engineers. Dr. William R. Ward. Institute Scientist, Planetary Sciences Directorate, Southwest Research Institute; Inducted, American Academy of Arts and Sciences (2012); Recipient of the Kuiper Prize of the Division of Planetary Sciences (DPS, 2011) and the Brouwer Award of the Division of Dynamical Astronomy (DDA, 2004) of the American Astronomical Society (AAS); Fellow of the American Association for the Advancement of Science (AAAS, 2006), and the American Geophysical Union (AGU, 2005); Recipient of NASA’s Exceptional Scientific Achievement Medal (1978); Ph.D., Planetary Science, California Institute of Technology (1973). Saal received both a B.S. and a Ph.D. degree in Geology from the Universidad Nacional de Córdoba, Argentina and a Ph.D. in Oceanography from the Massachusetts Institute of Technology/Woods Hole Oceanographic Institution. After a postdoctoral fellowship and two years as a Storke-Doherty Lecturer in the Department of Earth and Environmental Sciences at Columbia University and as Associate Research Scientist at Lamont-Doherty Earth Observatory, Saal joined the Department of Geological Sciences at Brown University in 2003. 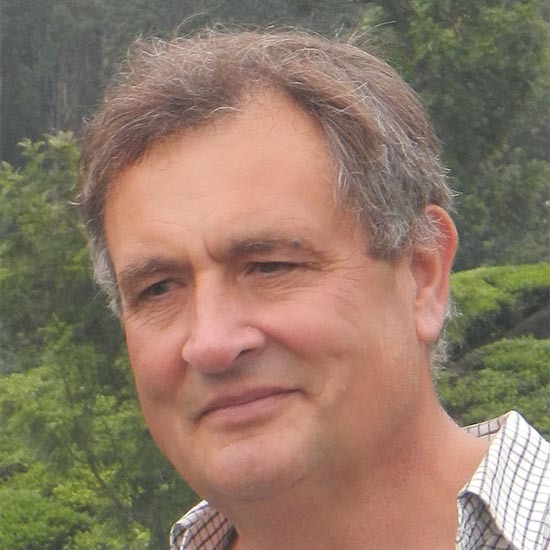 Hugh O'Neill is with the Experimental Petrology group at the Research School of Earth Sciences, the Australian National University, where he is currently Associate Director. He studies the properties of naturally occurring minerals and magmas at high temperatures and pressures so as to understand geological processes. He has a long-standing interest in applying the insights gained from the experimental study of Earth materials to the problem of estimating the chemical composition of the Earth, and how the Earth’s composition compares to that of other rocky planets, including the Moon’s. This approach leads to constraints on how the Earth might have formed and evolved. "Nicolas Dauphas is Professor at the Department of the Geophysical Sciences and Enrico Fermi Institute at the University of Chicago. After attending École Nationale Supérieure de Géologie (Nancy, France), he received a PhD in geochemistry in 2002 from the Centre de Recherches Pétrographiques et Géochimiques. A member of the University of Chicago faculty since 2004, he was the first to discover planetary scale nucleosynthetic anomalies for a refractory element, recognize Mars as a planetary embryo, and establish the abundance of 60Fe in the early solar system. His research interests include cosmochemistry, geochronology, and non-traditional stable isotope geochemistry. His recent work has centered on the use of NRIXS spectroscopy to understand redox and structural controls on the iron isotopic compositions of magmas. He received numerous awards, including a Packard fellowship, the Nier prize, the Houtermans and Macelwane medals. He has authored some 70 scientific publications." Richard Carlson obtained his BS in chemistry at the University of California, San Diego and PhD in earth science at the Scripps Institution of Oceanography. He joined the scientific staff of the Carnegie Institution of Washington's Department of Terrestrial Magnetism in 1981. His specialty is the field of trace element and isotope geochemistry and geochronology with research interests that include: timescales and mechanisms of crust formation and mantle differentiation on the terrestrial planets; nucleosynthetic isotope variability in early solar system materials, origin of large-volume volcanism; characteristics of the sub-continental mantle and its role in continent formation and preservation; and techniques for high precision chemical and isotope analysis. He was editor of the journal Earth and Planetary Science Letters and is currently President of the Geochemical Society. He is a Fellow of the Geochemical Society, American Academy of Arts & Sciences, and the American Geophysical Union, a Member of the U.S. National Academy of Sciences, and recipient of the 2008 Bowen Award of the AGU and the 2013 Day Medal of the GSA. "H. J. Melosh is a Distinguished Professor of Earth and Atmospheric Science at Purdue University in West Lafayette, IN. He received an AB degree in Physics from Princeton University in 1969 and a PhD in Physics and Geology from Caltech in 1973. His principal research interests are impact cratering, planetary tectonics, and the physics of earthquakes and landslides. His recent research includes studies of the giant impact origin of the moon, the K/T impact that extinguished the dinosaurs, the ejection of rocks from their parent bodies and the origin and transfer of life between the planets. He is a science team member of NASA’s Deep Impact mission that successfully cratered comet Tempel 1 on July 4, 2005 and flew by comet Hartley 2 on November 9, 2010. He is also a Co-Investigator of the GRAIL mission that is presently in orbit about the Moon and returning detailed data on its gravity field. Professor Melosh is a Fellow of the Meteoritical Society, the Geological Society of America the American Geophysical Union and American Association for the Advancement of Science. He was awarded the Barringer Medal of the Meteoritical Society in 1999, the Gilbert prize of the Geological Society of America in 2001 and the Hess Medal of the American Geophysical Union in 2008. He was a Guggenheim Fellow in 1996-1997 and a Humboldt Fellow at the Bavarian Geological Institute in Bayreuth, Germany, in 2005-2006. Asteroid #8216 was named “Melosh” in his honor. He was elected to the U.S. National Academy of Sciences in 2003 and the American Academy of Arts and Sciences in 2011. He has published approximately 180 technical papers, edited two books and is the author of a major monograph, Impact Cratering: A Geologic Process and a text “Planetary Surface Processes” with Cambridge University Press." G. Jeffrey Taylor received his undergraduate degree in physics from Colgate University and his Ph.D. in geology and geophysics from Rice University. He is currently a research professor in the Hawai`i Institute of Geophysics and Planetology at the University of Hawai`i. Dr. Taylor has done extensive work on the mineralogical and chemical make up of lunar samples and meteorites, publishing over 170 refereed articles. His main interests are in basic planetary science (understanding the processes involved in planetary formation, with emphasis on bulk composition of the Moon and terrestrial planets) and on the petrologic and geochemical evolution of planetary crusts. He was a member of the Mars Odyssey Gamma-Ray Spectrometer Team and is a guest scientist on the Gravity Recovery And Interior Laboratory (GRAIL) mission. With Linda Martel (Hawai‘i Institute of Geophysics and Planetology) he writes and publishes an online science magazine, Planetary Science Research Discoveries. Norman Sleep received his PhD in seismology and tectonics from MIT in 1973. He served on the faculty of Northwestern University for 6 years and has since been a member of the Geophysics Department of Stanford University. His interests include the physics of friction and nonlinear seismic attenuation, geodynamics, and the conditions for the origin and early evolution of life. He has studied pre-photosynthetic niches, including hydrogen production from serpentinisation and the effects of asteroid impacts on life. He is currently working on the temperature of the climate on the early Earth, the biological record of the Earth’s mantle, and pre-biological conditions on the early Earth. Professor Sara Russell is Head of the Division of Mineral and Planetary Sciences at the Natural History Museum, London and Visiting Professor at the Open University. After completing her first degree from the University of Cambridge she undertook a PhD at the Open University followed by postdocs at Caltech and the Smithsonian Institution. Her interests are in meteoritics and cosmochemistry, especially in the early evolution of the solar system and in lunar formation and geology. Ian Crawford is Professor of Planetary Science and Astrobiology at Birkbeck College, University of London. 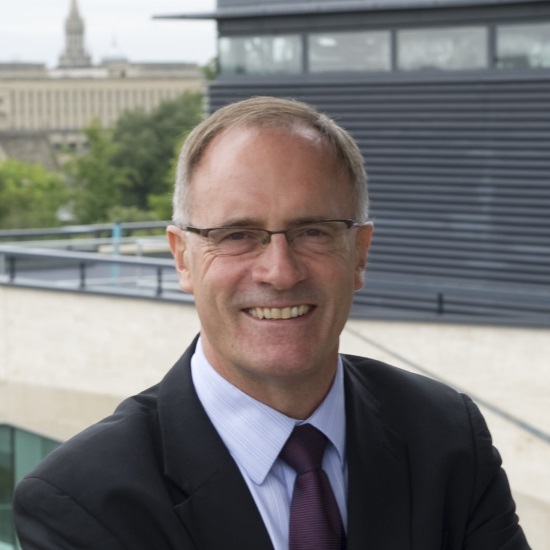 He is presently also Senior Secretary of the Royal Astronomical Society, and a member of the European Science Foundation’s Space Sciences Committee. The main focus of his research is in the area of lunar exploration, including the remote sensing of the lunar surface and the laboratory analysis of lunar samples. Professor Crawford also has strong interests in the new science of astrobiology, the study of the astronomical and planetary context of the origin and evolution of life. Lindy Elkins-Tanton is the director of the Department of Terrestrial Magnetism at the Carnegie Institution for Science in Washington D.C.. Elkins-Tanton received her B.S., M.S., and Ph.D. degrees from MIT and spent time on the faculty there. Her research is on the accretion and early evolution of terrestrial planets, and the relationships between solid Earth and life on Earth. A connecting theme is the physics and chemistry of silicate melting and solidification. 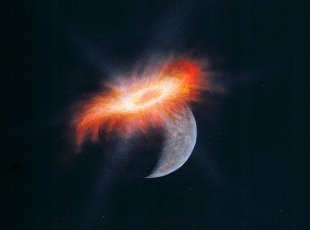 Major current efforts include melting and differentiation in planetesimals, water delivery to growing terrestrial planets, and the possibility that the Siberian flood basalts caused the end-Permian extinction. Maria T. Zuber is the Vice President for Research and the E. A. Griswold Professor of Geophysics at the Massachusetts Institute of Technology. Professor Zuber has been involved in more than half a dozen NASA planetary missions aimed at mapping the Moon, Mars, Mercury and several asteroids. She currently serves as Principal Investigator of NASA’s Gravity Recovery and Interior Laboratory (GRAIL) Mission. She holds a B.A. from the University of Pennsylvania and an Sc.M. and Ph.D. from Brown University. She has won numerous awards including the MIT James R. Killian Jr. Faculty Achievement Award, NASA’s Outstanding Scientific Achievement Medal, Distinguished Public Service Medal and Outstanding Public Leadership Medal, as well as the American Geophysical Union Harry H. Hess Medal, the Geological Society of America G.K. Gilbert Award and the American Astronautical Society/Planetary Society Carl Sagan Memorial Award. She is a member of the National Academy of Sciences and American Philosophical Society, and is a fellow of the American Academy of Arts and Sciences, the American Association for the Advancement of Science, the Geological Society of America, and the American Geophysical Union, where she served as president of the Planetary Sciences Section. In 2004 Professor Zuber served on the Presidential Commission on the Implementation of United States Space Exploration Policy. In 2002 Discover magazine named her one of the 50 most important women in science, and in 2008 she was named to the USNews/Harvard Kennedy School List of America’s Best Leaders. In 2013 President Obama appointed Professor Zuber to the National Science Board. Sean Solomon is the director of Lamont Doherty Earth Observatory, the largest of the Earth Institute’s research centers. Prior to arriving at Columbia, in July 2012, Solomon served for 19 years as Director of the Carnegie Institution’s Department of Terrestrial Magnetism in Washington, D.C., where his research focused on planetary geology and geophysics, seismology, marine geophysics, and geodynamics. From 1972 to 1992, Solomon was a member of the faculty of the Department of Earth, Atmospheric, and Planetary Sciences at the Massachusetts Institute of Technology. He has led or been involved in oceanographic expeditions on Earth as well as spacecraft missions to the Moon, Venus, Mars, and Mercury. From 1996 to 1998, he was president of the American Geophysical Union, the world’s largest organization of Earth and space scientists.